There are two major types of vascular abnormalities that occur in newborns – vascular tumors and vascular malformations. What distinguishes these abnormalities is their ability to proliferate and grow. While vascular tumors do proliferate, either for a limited period of time or forever, vascular malformations do not typically grow. If they do grow it is a very slow process. There are several different types of vascular tumors. These include but are not limited to infantile hemangiomas (these will be discussed herein), congenital hemangiomas (NICH, RICH, PICH), tufted hemangiomas, and pyogenic granulomas. Infantile hemangiomas are benign vascular tumors that occur at a rate of around 4-7%. 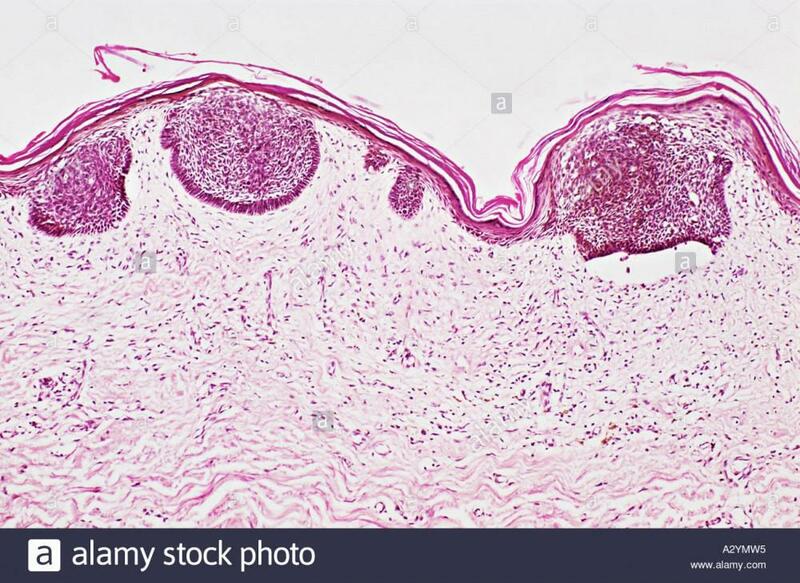 These lesions usually begin to develop around the first week of life and often there is an area of abnormal skin known as a promontory mark that is apparent before the lesion grows. This mark can look like a bruise, an area of redness and small blood vessels or simply an area of pale skin. Risk factors for developing infantile hemangiomas include female gender, twins, fair skin and low birth weight. 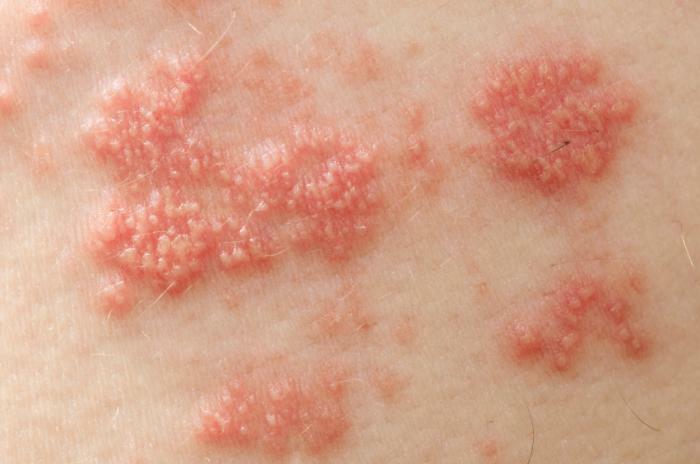 There are several presentations of hemangiomas that may raise concern. These include hemangiomas greater than 20 square centimeters in size, multiple lesions (greater than 5), hemangiomas that that involve regional or segmental areas of the body such as large areas of the face or back, hemangiomas associated with a sacral dimple, and lesions that press on important structures such as the eye or airway. As a type of vascular tumor, infantile hemangiomas tend to grow. The majority of the growth occurs before 12 weeks of age with rapid growth occurring at 5-7 weeks. Growth usually slows at this point and often stops by 6 months. The larger and deeper the lesion is, the longer it may grow. Ulceration can occur in certain lesions. With time, infantile hemangiomas typically regress, some completely and some partially. The end result varies from obvious skin changes to nearly complete clearance. 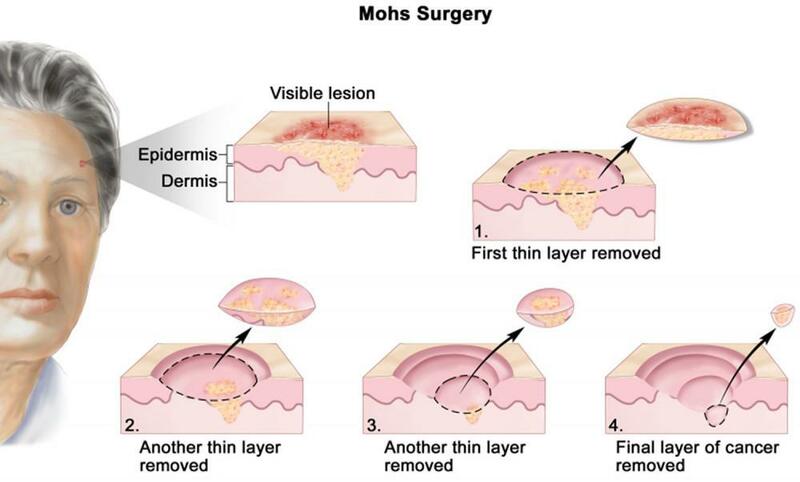 It has been noted that an almost perfect cosmetic result is achieved when lesions resolve by age 6. On average, infantile hemangiomas will decrease in size an estimated 10% each year over the first decade of life. Depending on the presentation, a further workup may be needed to evaluate the hemangioma to determine if abnormalities of other organ systems are involved and to determine if systemic therapy is warranted. This workup may include MRI/MRA, echocardiogram, and evaluation by ophthalmology or gastroenterology. Early management is key when dealing with infantile hemangiomas. The earlier therapy is initiated, the better the outcome. 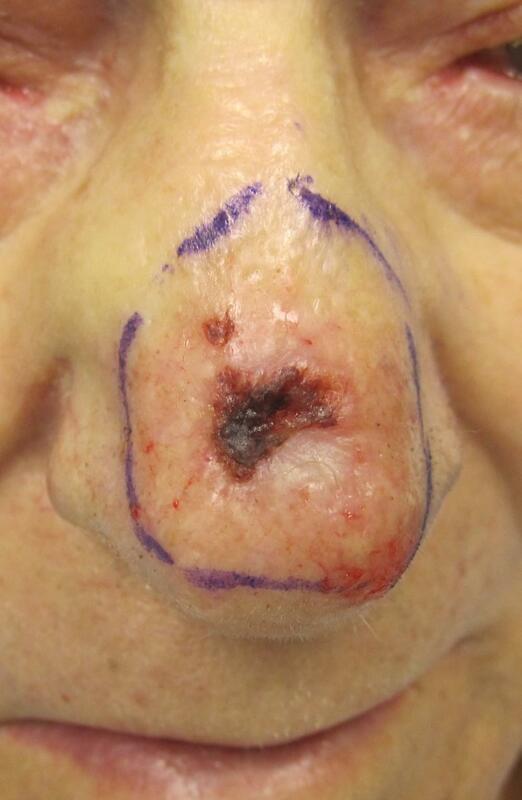 There are several management and treatment options for these lesions. Treatment options include topical treatment with beta-blockers, steroids or immunomodulators. The use of steroid injections can be effective in certain locations. 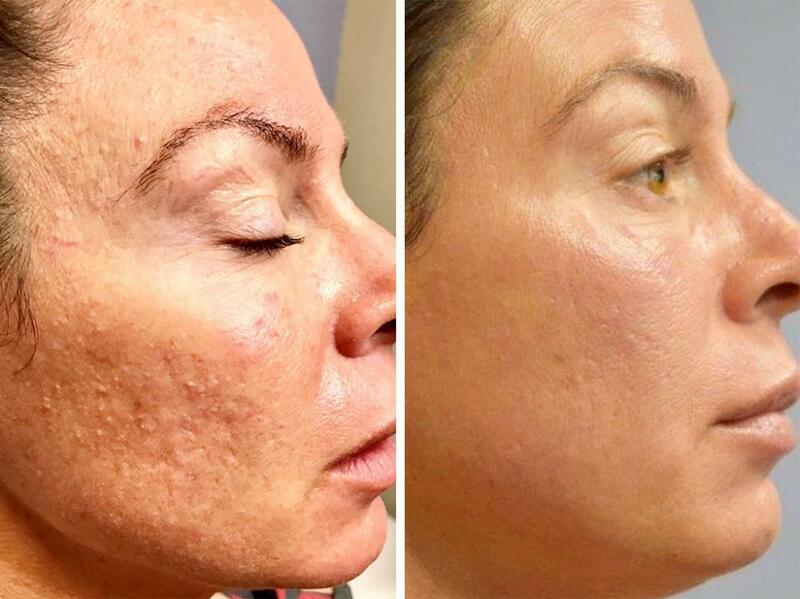 Pulsed dye laser treatment can be very effective for ulcerated lesions or lesions that do not completely resolve. Oral beta-blocker therapy with oral propranolol has proven to be one of the most effective treatments for these lesions. Systemic steroids are still used and are effective as well. Due to numerous side effects, the use of medications such as interferon or chemotherapeutic agents has dropped significantly since the advent of propranolol therapy. 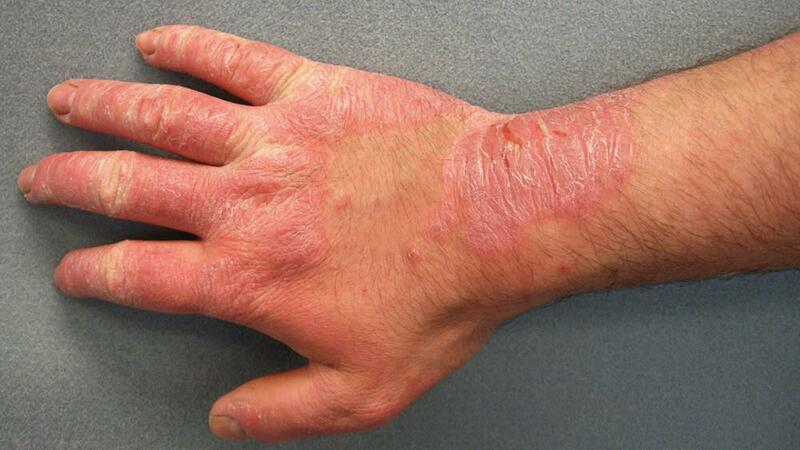 PBD offers the pulsed dye laser as a potential therapy for this condition. The pulsed dye laser is an effective tool for treating infantile hemangiomas. Studies have demonstrated that 80-90% of lesions treated with pulsed dye laser therapy regressed significantly following treatment. Treatment consists of the application of a topical anesthetic approximately 30-60 minutes prior to treatment. Eye protection is utilized and the laser is applied to the skin using a special hand piece. Once complete cool packs are applied to the skin to soothe the area. Redness swelling and bruising are expected side effects of the treatment. For more information or to schedule a consultation please contact one of our providers here at Pine Belt Dermatology & Skin cancer Center.